Although I am bending appropriately at my hip joints in this picture, this pose would have been difficult during a unique time during medical school. During my medical training, I was engaging in one of my typical workouts with weights. However, I was using very heavy weight with a hack leg press and shifted to using one leg versus both legs. Then there was a twinge in my low back on my right side. However, it was not extraordinarily painful. In fact, it was barely perceptible. Then the next morning came around. Extreme pain in my low right back made it nearly impossible for me to tie my own shoes. As many do, I just tried to push through it and get through the days with the hopes that it would go away. After about a week, the back pain was not better and I decided to go see a local osteopathic physician. I was told that I was pushing too hard with working out everyday. As many active people can attest to, just being active every day does not mean “too much.” It all depends on how you are working out and to what extent. He told me to lay off working out for two weeks and nothing else was offered. Those two weeks did nothing to help me. I really was not given many tools or strategies to cope or modify my pain. After multiple other opinions and developing left hip pain, I still had no explanation for my pains. In light of the fact I was in osteopathic medical school, I was trying to find some explanations for my pain. Luckily, I heard about an informal osteopathic physician club meeting in Dallas, Texas. It turns out I was one of those guinea pigs that evening who everyone was able to practice on or learn from. With at least three sets of hands on my low back, pelvis, and legs at the same time, extensive maneuvers were done over 10-20 minutes. Yes, it was excruciating at the time. But with great surprise, I stood up from the table and found that most of my pain was gone! There was still some pain, but the most impressive feeling was a sense that things were “freed up.” I could walk and bend without feeling a “catch” or a “hitch.” Getting my body to resume more normal movement seemed to be critical to my improvement in the long run. Over the course of the next year, I did some stretches and received occasional maneuvers to my sacral region to calm down the pain signal and feel freed up again. They were almost like maintenance sessions. The need for help from others became less and less over time. In fact, pain episodes dissipated over time. I no longer consider my pain as constant and intense, but more like rare, intermittent pain. The more I take care of myself, the less pain I have…besides, I already know I am susceptible to pain. For the most part I keep myself out of pain with an evolving understanding of my own tendencies in addition to performing stretching exercises, strengthening exercises, self-treatment maneuvers, and occasionally (1-3 times a year) receiving treatments by body assistants (e.g. physical therapists, chiropractors, osteopathic physicians, etc). Pain is usually my reminder to take care of myself better. 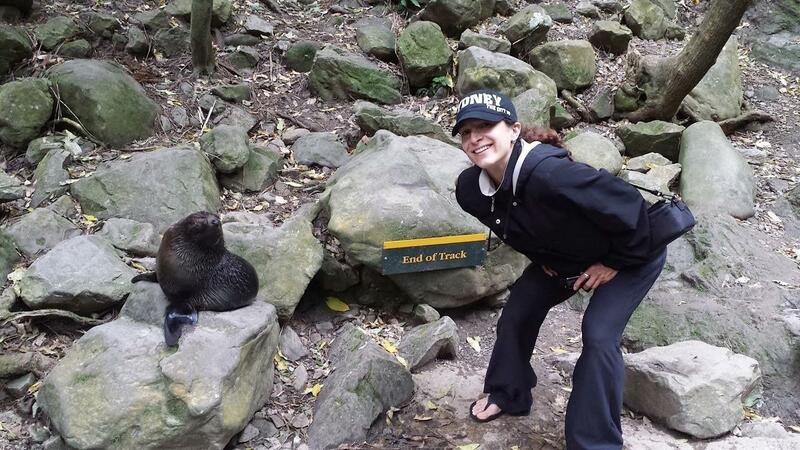 Stay connected with Dr. Cady and her adventures! Join Dr. Cady's mailing list to receive the latest news and posts. Stay connected with Dr. Cady & her adventures! But Dr. Cady will share her own updates and adventures with you.